The rewards that stem from being an effective leader are difficult to articulate or describe to someone who has never felt them. This is an interesting point, possibly an obvious one to those who have been practicing the art of leadership and attempting to develop as many related skills as possible over the years, but one worth highlighting. The essence and key points of leadership – the things that make good leadership, good leadership – have not changed that much in the past 30 years or even before that. Why? I believe that it is essentially because leaders, by definition, are working with and for people. Leadership is a values-driven, people-connection, relationship-based function…or at least it is when performed well. The elements of effective leadership, the qualities that separate good leadership from bad, are heavily reliant on how well we connect with those around us, particularly those looking for guidance and support from us.This is not to say that leadership concepts have not gained depth and sophistication in thought and practice over the years. People were being led before the 1980’s, need leadership now and certainly will also in the future. The common thread here is not leadership itself, but people. Connecting with people, developing meaningful relationships and helping others to thrive is not a new concept. It is possibly better understood and articulated now and technology has most definitely assisted to disseminate this information more broadly but leadership content has changed little. It is the people-oriented aspects that define great leaders. Adept leaders drive change and results by helping others achieve more than they would have if they were not developed, realising their greater potential and being led capably. The leaders who are able to connect with others through their head and heart, build trust, credibility and work with and for their teams, not at or in spite of their people, are the most successful. I regularly observe and am frequently approached by managers who are concerned and frustrated at their inability to make the kind of difference they either wish to or are being asked to by their bosses and business leaders. Many times these managers are also the people who have not developed the depth of relationships and connection with their team members and peers. They struggle to delegate, often micro-manage, work long hours and often appear tired and run down. Leadership is sometimes described as a lonely role. It certainly is for these people who are at the vanguard of management but are missing the point about leadership! Leadership is not an automatic ‘gift’ or something that can be gained over-night. However, with practice and commitment, base leadership abilities can be built upon because many of these attributes are already within us. These traits and skills may be raw – they may even be unknown at this stage – but the ability to recognise opportunity and develop is the first in many steps that effective leaders have taken in the past and that you can make now…for the future! I am genuinely excited about reading the rest of this book. Although I have only read the first couple of chapters, it is already resonating with me. I will write other blogs based on the content delivered in ensuing chapters, I am sure. In the meantime, enjoy life and keep on transforming yourself and those around you. For us to be good leaders, we have to put the whole package together (values, principles, qualities that lead to success, as leaders). What stood out to me in this post was the “…values-driven, people-connection, relationship-based function…” statement. 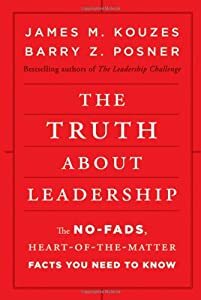 Thousands of books have been written about leadership, but that quote right there is the essence of what leaders are…what leaders do…what leaders become. And, with that being “performed well,” we all become successful.